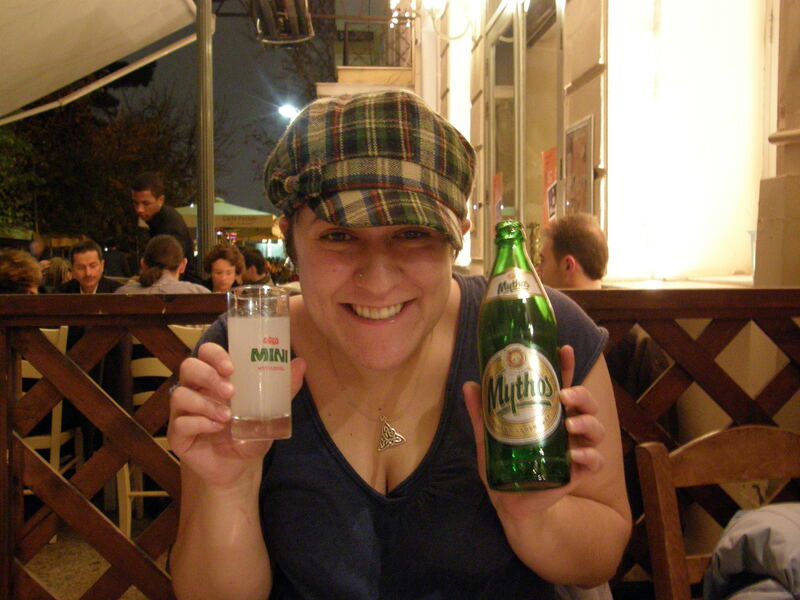 A couple of years ago I flew from Montreal to Tel Aviv with what should have been a 14-hour stop over in Athens. 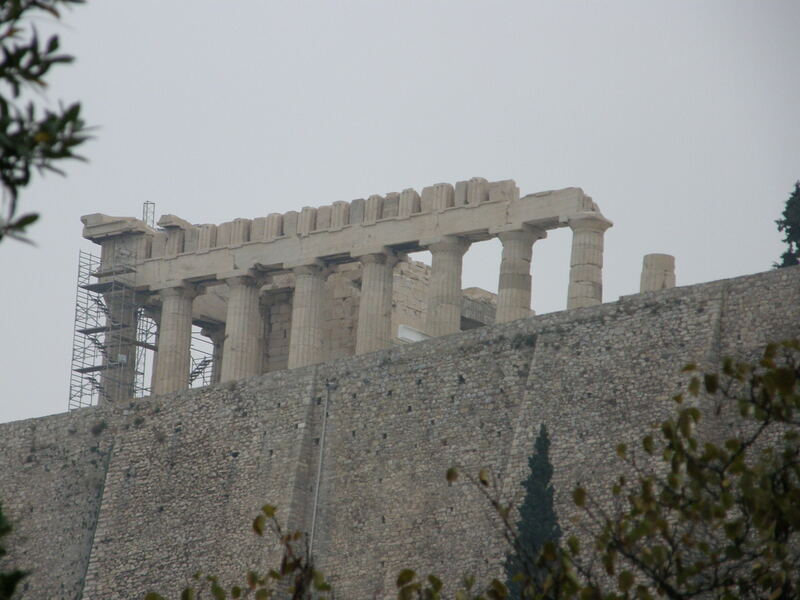 Bad weather shortened it to 10 hours, but that was ample time to get from the airport to the Acropolis and back. I failed to take one thing into account: Christmas. Silly me. I’m Jewish, so I forget about minor little holidays like the birth of Christ. This incidentally would explain why I was able to get a fairly decent price with only a few weeks notice for a round trip ticket from Montreal to Tel Aviv without having to stop in New York or Toronto. The subway in Athens conveniently links up the airport and the Acropolis, as if it were built just for me. 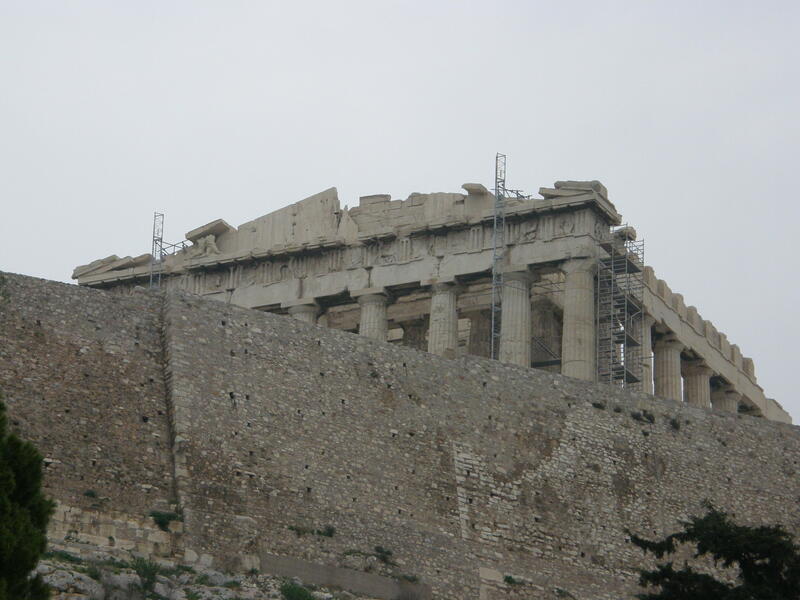 And we got to the site of the Acropolis. It was simply closed – closed because it was December 26. I exploited the telephoto lens on my camera. But that’s as close as I got. 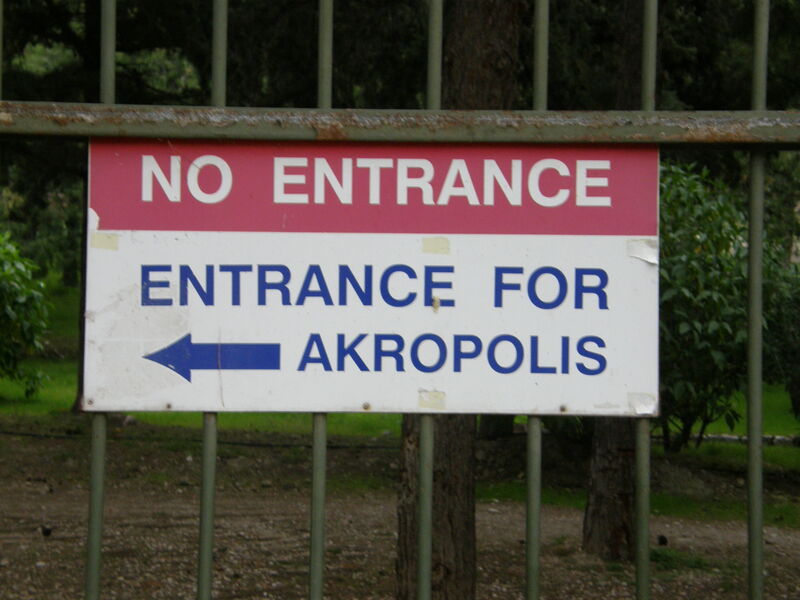 All the way to Athens, and I didn’t make it to the main attraction. So I did the next logical thing. I got shitfaced. 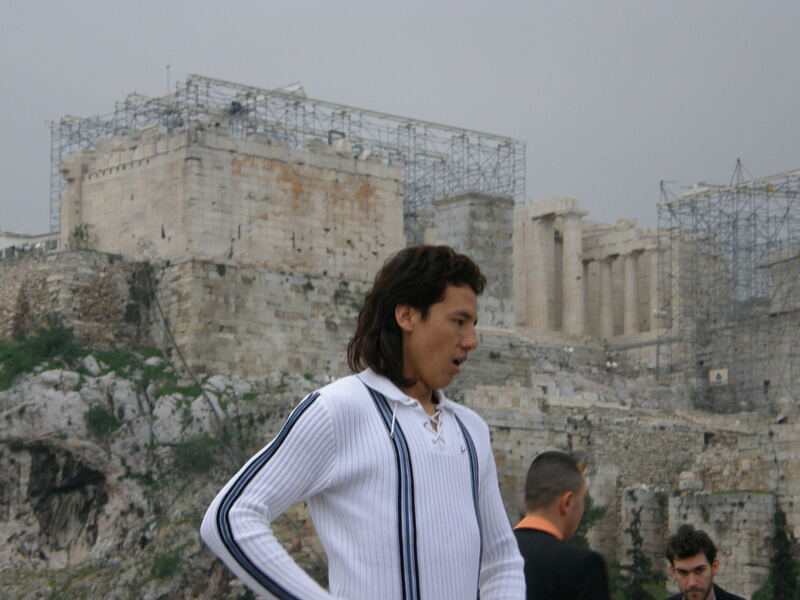 It wasn’t a wasted journey for one specific reason: I did see a guy with the most amazing mullet I have seen in all of Europe. I guess it wasn’t a wasted day, was it? This entry was posted in Anecdotes, Europe, Photography by hoboshutterbug. Bookmark the permalink.